Wilson, Cuddy and House. . Wallpaper and background images in the House M.D. club tagged: house md house wilson cuddy banner fan art. This House M.D. fan art contains tanda, poster, teks, papan hitam, and chalkboard. There might also be kerang, conch, popcorn, and tamale. I love this scene so so so much! 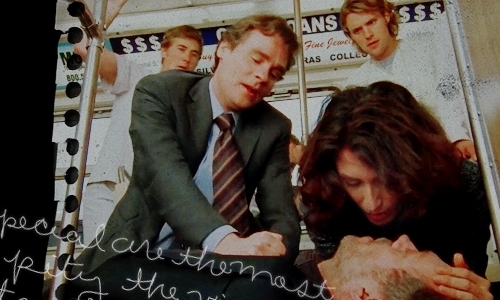 Watching Wilson and Cuddy trying to save House's life was just so brilliant..